FalkeEins - the Luftwaffe blog: Oblt Egon Mayer Staffelkapitän 7./JG 2 Channel front ace - April 1942 - Osprey Weal Bf 109 Channel Front Aces ? Oblt Egon Mayer Staffelkapitän 7./JG 2 Channel front ace - April 1942 - Osprey Weal Bf 109 Channel Front Aces ? Above; Oblt. 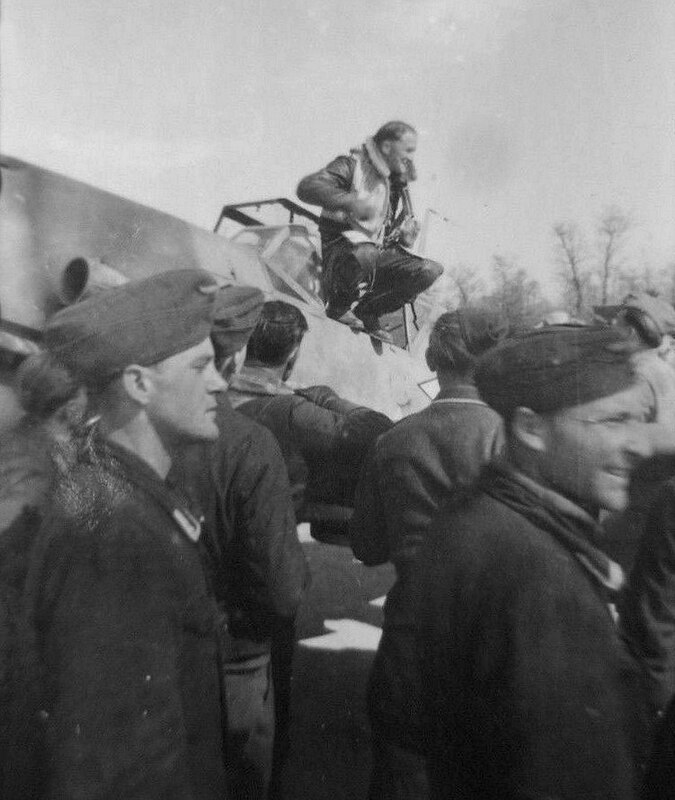 Egon Mayer, about to climb down from the controls of a Stab III./JG 2 Friedrich, seen relating a successful combat account to his erster Wart (Gefr. Bender) probably on or around 17 April 1942. In the three days between 14 and 17 April 1942 7./JG 2 claimed no fewer than 17 victories including 8 claims for Staffelkapitän Oblt. Egon Mayer himself. This tally included two Spitfires on 16 April for his 31st and 32nd victories and three more the following day (two of these remaining unconfirmed). The ground crews invariably gave the successful pilot a rousing welcome, as seen in the scenes below, probably photographed on the same occasion. A member of JG 2 since the autumn of 1939, Mayer had moved from II. Gruppe to I. Gruppe before being transferred to 8. Staffel of III./ JG 2 - all during 1940. He was subsequently entrusted with Machold’s 7. Staffel and it was from this moment that it could be said that his career really took off following his first claim - the downing of an MS-406 on 13 June 1940. He filed claims for his 14th and 15th ‘official’ victories returned on 12 July 1941. His rudder total at that time included his two as yet unconfirmed Abschüsse returned on 23 June. Invariably rudder scoreboards provide only an approximate indication of a pilot’s actual tally. As the Staffelführer of 7./JG 2 Lt. Egon Mayer shot down two Spitfires for his 17th and 18th victories on 23 July 1941 and on 1 August 1941 Lt. Egon Mayer was awarded the Ritterkreuz or Knight's Cross. In less than two months, he had claimed no less than fifteen ‘kills’ bringing his total victory score to eighteen. 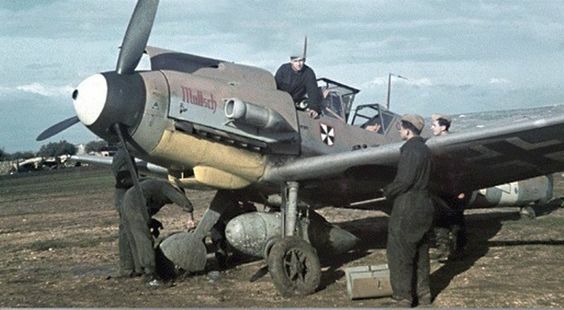 On 21 August 1941 Lt. Egon Mayer as Staffelführer of 7./JG 2 ( in theory a pilot held the rank of Oberleutnant prior to being promoted to Staffelkapitän) returned his 19th and 20th victories in two separate combats. 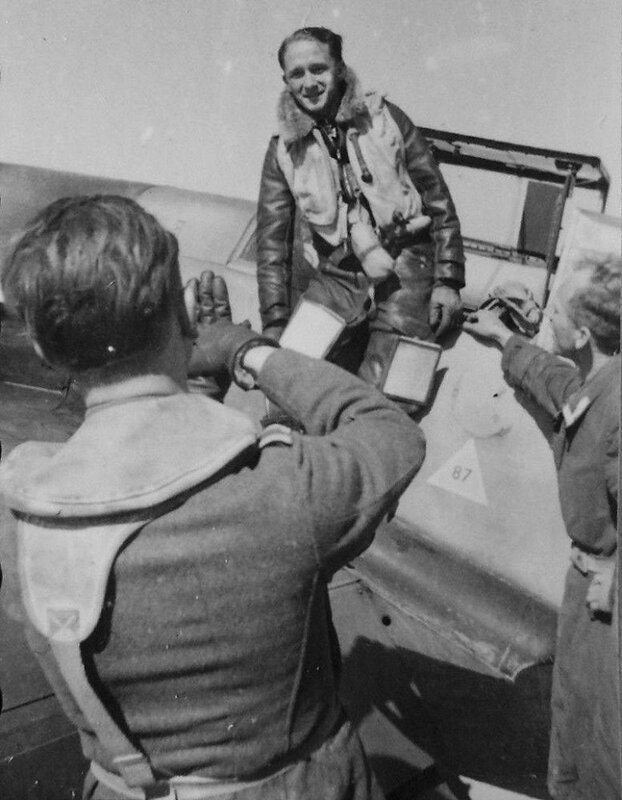 During the evening of 16 September 1941, Egon Mayer (promoted to Oberleutnant on 01 September 1941) claimed two Spitfires in the vicinity of Boulogne for his 22nd and 23rd victories. On 20 September Oblt. 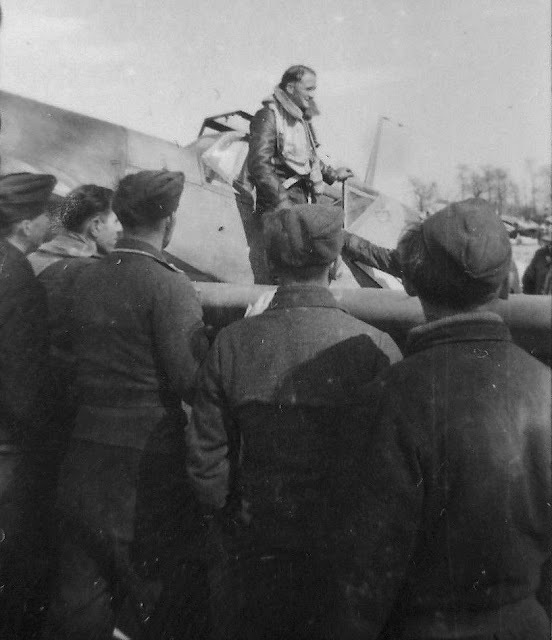 Egon Mayer claimed his 24th victory (a Spitfire) over the Pas-de-Calais. Moments later he had to belly land his "White 1 " on a Channel coast beach. 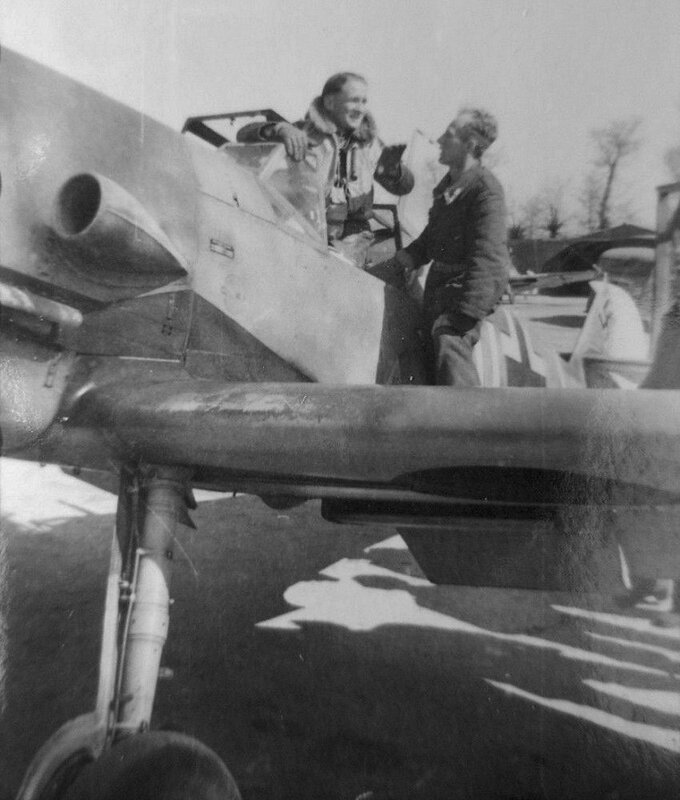 He returned his 25th on 02 October, also a Spitfire..
On 19 August 1942, his 25th birthday, Mayer shot down two RAF Spitfire fighters over Dieppe (51-52). In November 1942, Hauptmann Mayer was appointed Gruppenkommandeur of III./JG 2. Mayer is credited with developing the 'head-on' method of attacking bombers - a first experiment in combat flown in late 1942 is related here. Following on from their Spitfire Channel Front 'Aces' title I would imagine that Osprey and John Weal are also planning a Bf 109 Channel Front aces title.